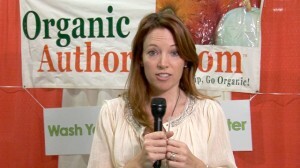 My name is Laura Klein, and I’m the publisher of OrganicAuthority.com. So, you may be wondering why you want to go organic. A lot of reasons. Well, number one the food, I think, in my opinion is more delicious. And there’s a lot of people who agree with me, and it’s a whole heck of a lot healthier. Because if you’re eating conventional foods, that are sprayed with toxic pesticides and chemicals, and all that yucky stuff, or if you’re eating meat that is full of hormones, antibiotics, and even pesticides, because those cows and those animals have to eat something. And a lot of time, the feed is actually sprayed with pesticides as well, you’re consuming that on a daily basis. So, one of the biggest recommendations that I make. 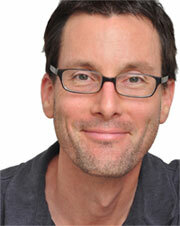 If you want to improve your health, is simply upgrade the quality of your food. An easy way to do that is start buying organic food. One great tip for getting started to go organic is commit to buying the food that you eat the most of. So, maybe you’re like me. You love cheese. Who can get enough cheese? I’m sorry I can’t. So, buy organic cheese. Or, maybe it’s milk or maybe it’s a piece of meat. Or, if you love tomatoes, start buying organic tomatoes because if you eat a lot of tomatoes, or a lot of cheese, you’re going to be consuming all of the chemicals that go along with it. So if you make that one upgrade, you’re going to be well on the way to a healthy lifestyle. We’ve had many readers write into us and who say they actually started going organic for their kids, and they started cleaning up their own diet and the weight started to fall off. They lost 20 pounds like that. So, it’s much simpler than you think. And, if it’s too expensive, or if you think it’s too expensive, you gotta start shifting that mind shift. Because if you invest a little bit in your food, which is a powerful form of prevention that may add up to less doctor bills, less prescription drugs, and that means a whole lot more money in your pocket. 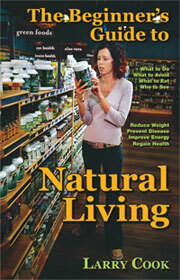 I’m Laura Klein, and come check us out at OrganicAuthority.com.